Streetcars on Jinbocho Dori in Jinbocho (神保町), Tokyo. The area is named after a samurai by the name of Nagaharu Jinbo, who lived here in the 17th century. 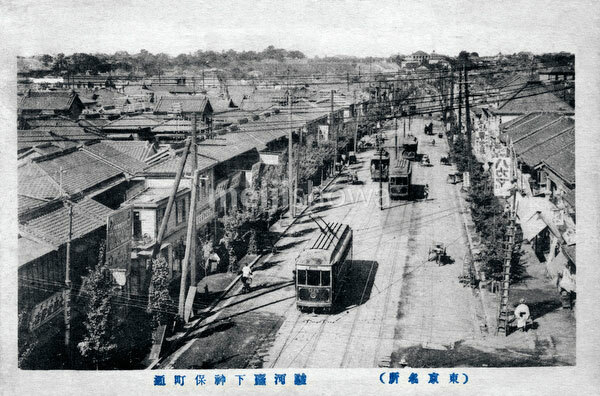 After the area was destroyed by a huge fire in 1913 (Taisho 2), Shigeo Iwanami started a bookstore in this area, which grew into Iwanami Shoten publishing house and launched the area as Tokyo’s center of used book stores and publishing houses.